wi-tribe has upgraded 1.5Mbps internet package to 2Mbps and becomes first to provide 2Mbps on WiMax. This newly launched 2Mbps connection is only available for wi-tribe's desktop / wi-fi modem, not available on it's dongle. All existing 1.5Mbps connections will get promoted to 2Mbps connections for free with the same price. 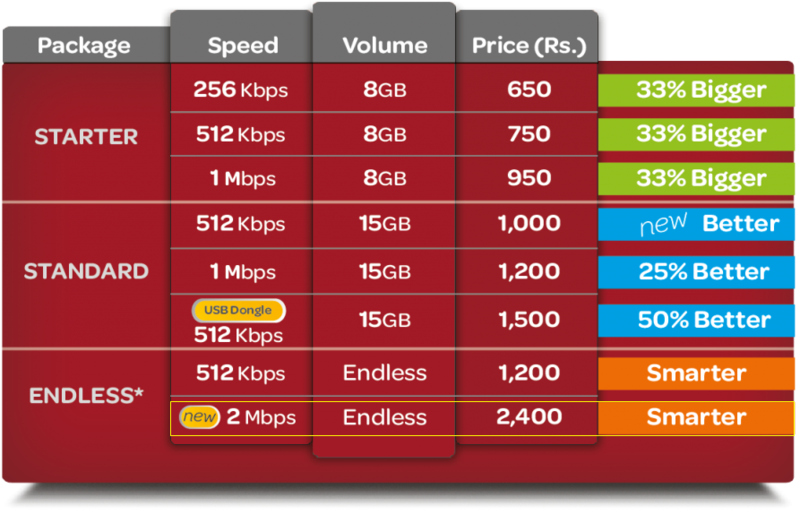 2Mbps is available for Rs. 2400 per month.